“Bethel” is a name that means much to many people. To Jacob, recorded in the Book of Genesis, it was the gate of Heaven where he saw the ladder with angels ascending and descending. To him this was the “House of God”, which is the definition of the word, Bethel. Through generations many houses of worship have been designated by the title Bethel and whatever other title may have been used, it literally meant the “House of God”. To the people of Lexington County in a community called Edmund, Bethel or as she is more commonly and affectionately called “Old Bethel”, has a special meaning. This was the church, for generations, where people were inspired and encouraged to face life and receive hope for Life Eternal. The first deed for the land was dated July 6, 1852, containing two acres given as a gift by Dr. George H. Hunt. This land was deeded to: Henry Arthur, John D. Sharp, Francis Sharp, Jabez Waters and Henry Baughman, Trustees of The Methodist Episcopal Church, South, in Lexington District. The church had an unusual beginning. Mrs. Hunt used to frequent an old log schoolhouse back of the present cemetery. The schoolhouse, consisted of one room large enough to seat only a very few people. During slavery time, the building was used for both negroes and whites to attend school. One bright Sunday afternoon, two boys were walking through the woodlands behind the log schoolhouse, when suddenly they heard the melodious outpouring of Mrs. Hunts’ voice. Upon observing Mrs. Hunt in her worship, the boys moved closer to the door and being seen by Mrs. Hunt, they walked into the log house where they felt strangely moved. Mrs. Hunt told them that she would have Rev. Daniel Peter (Uncle Daniel) Shumpert on the following Sunday to preach a sermon for them. Quite a few came the next Sunday. The word spread and the people continued to come, eager to hear the Gospel in such a powerful way and to sing God’s praises together. About this time, the Conference appointed preachers (circuit riders), to preach here twice a month. On the alternate Sundays, a citizen of the community and a local preacher, Rev. D. P. Shumpert did the preaching, with Mrs. Hunt leading the singing. More and more people thronged to this worship center until soon the place became too small. About 1885, the group rallied together and built a holy but crude worship center known as The Brush Arbor. A second deed, dated November 15, 1888, shows that Jacob Rish granted as a gift, two more acres of land to the church trustees, Henry Kyser, J. M. Boon, George A. Shealy and others. Approximately ten years after the Brush Arbor, the first part of the present building was erected, consisting of a big room 28 x 40 feet. This was a long straight, one room building with the pulpit located in the southeast corner, next to the waterfall. One door was placed on each side of the pulpit and one in the front. In 1928, when Rev, F. L. Frazier was pastor, more space was needed. The members helped generously, and under the inspired leadership of Rev. Frazier, another room was built to one side of the present church and the pulpit changed to the opposite side. The people rallied to the cause again in 1949 because of further growth and development of the church, while the Rev. A. E. Becknell was pastor, and built four Sunday School rooms. A third deed dated Nov. 24, 1950 shows that the Brodie Light and Power Co., gave as a gift, one and eight-tenths acres to H. L. Wise as Trustee for the members of the congregation of Bethel Methodist Church. 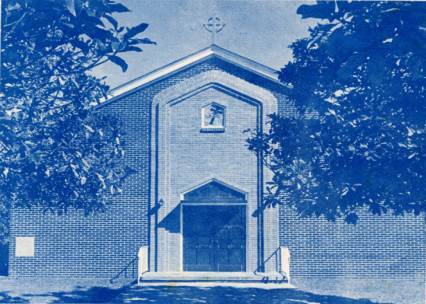 In 1953, with the help of many willing workers, who donated their time, the church Sanctuary was renovated and painted. 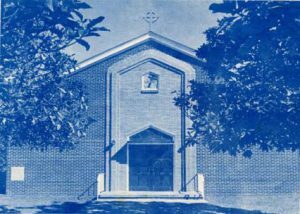 In April 1957, it was decided that the old church Sanctuary be torn down and a new one replace it. A special Quarterly Conference was called, with Rev. E. S. Jones, District Superintendent, presiding. Permission was granted by the South Carolina Methodist Conference for Bethel Methodist Church to build a new sanctuary and a loan to be secured, if necessary. On June 15, 1957, a well was drilled west of the church building. Mr. Harvel Koon, a Lexington County architect was secured to draw a set of plans for the new church building. The plans were approved by the church members and on October 25, 1958, after a delay of almost a year, some 100 men, women and youth, met at the church and began tearing down the old building. It was a difficult job, because the church forefathers had built a sturdy building. They meant for it to last. Construction was now under way and with the able and inspiring leadership of the pastor, the Rev. J. W. Johnston, who was dearly loved by one and all, the dear Lord was to use all available and willing talent. The contractors, Horace Wise, Hugh Eargle, and James Lucas, were members of the church. They discovered within the congregation, carpenters, roofers, landscapers, brick layers, painters, cabinet makers and other vital help. Milford Hartley, a member of the Pelion Methodist Church, gave his time and labor in installing the electrical system. Ray Goodman, a good Baptist layman, did the painting, giving his time and labor freely. There were others, too numerous to mention, who gave tirelessly of their time, both skilled and unskilled labor. Saturdays became a work day and often the ladies would bring hot meals to serve to the men. Through sacrificial giving, the building was moving along, but a loan had to be made to complete construction. On May 1, 1959 a loan of $10,000 was made through the Palmetto State Life Insurance Co.
On August 30, 1959 the cornerstone was laid by Mrs. Mary Kyzer, the oldest living member; James and Franklin Lucas, who gave the stone; Horace Wise, Hugh Eargle, contractors and the pastor, Rev. J. W. Johnston. On October 4, 1959, “Old” Bethel, with a new building, opened her doors and welcomed her members and friends to a building which stood as a miracle of faith in a world that needed a demonstration of faith. Bethel, in all of her beauty, standing like an Oasis of hope in the midst of a sea of Black Jack Oaks was not to be spared the days of trial and crisis. At the Annual Conference following the erection of the new church, the beloved pastor, the Rev J. W. Johnston was transferred to Epworth Children’s Home in Columbia. The Rev. W. L. Neal succeeded the Rev. Johnston during the tempestuous days when the preaching of civil rights and race relations was most unpopular. Rev. Neal did not complete a year and was replaced by the Rev. Peter Stokes, a very patient and even-tempered preacher. He weathered the following three stormy years of unrest and tried to steady the church, but tragedy struck in the Fall of 1964 and the church was to bear the scars of “brother going to court against a brother”, which the Bible speaks so forcefully against. Wounds were opened, and families and friends of long-standing friendship, who had weathered many trials, suffered strained and sometimes divided relationships. Jesus spoke a parable once concerning the tares and the wheat and great discord following. He was asked an explanation and He said, “While the children slept the enemy (which is the devil) came by night and sowed the tares”. His solution was to leave them alone until the day of Harvest and He would make the separation. It was almost a modern day parable of the Old Testament Elijah. After Elijah had defeated the worshippers of Baal in calling down the fire upon the sacrifice, proving that God was real and alive, he was threatened by Jezebel the very next day and fled to the mountains to save his neck. Bethel had stood against the worshippers of the world and a group full of faith and real backbone carved a place of worship, a real spot of holy ground, out of the wilderness over a century ago and proved their worth many times, but fled today when the testings were unbearable. The Lord speaks about the danger of “Him that thinketh he standeth, take heed less he fall”. The present pastor was assigned in June of 1965 and the first Sunday met six members, two visitors and the five in the Pastors’ family. The number was few and the challenge was great, but not insurmountable, for the promise came “Fear not little flock, it is your Fathers’ good pleasure to give you the Kingdom”, There were days of real disappointment, when the number increased so slowly, but faith increased and withstood real frustration. On Sunday, October 29, 1967, Mrs. Mary Kyzer, who on August 30, 1959 had laid the cornerstone, struck the match that set the mortgage aflame signifying the retirement of the indebtedness. This was a great day, not only a flame to the retirement of the indebtedness, but we trust a new flame into the hearts of the congregation of “Old” Bethel. May some of the faith that was in the heart of Mrs. Hunt, who sang and prayed and inspired others back in the early 1850’s that started Bethel, leap anew in the hearts of others in 1968 and on, and the Bethel that Jacob saw, “The House of God”, be seen in these days of real uncertainty and come to the place of faith where “we can begin again”.